The director of Cheeni Kum "Bal Krishnan," which starred Tabu and Amitabh is back with his second feature after his debut hit. The film is titled "Pa". As its name suggests, the film chronicles the relationship of a father and son. 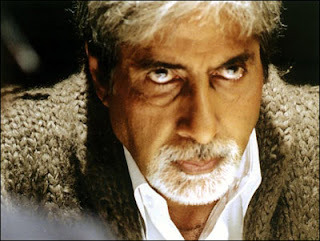 So the father and son liked most Jodi have been roped to play the role, namely Amitabh Bachchan and Abhishek Bachchan. Interestingly, we learned, father Amitabh Abhishek calls pa in real life too. The Director advised that it is a joyful comedy. This will be the duo's next film together, after the super hit Sarkar Raj. Zora Saihgal and Paresh Rawal were also roped to the characters in the foreground. Bal Krishnan, before the emergence of cinema, was director of advertising fame. The hindi movie pa is scheduled to be released in early 2010.